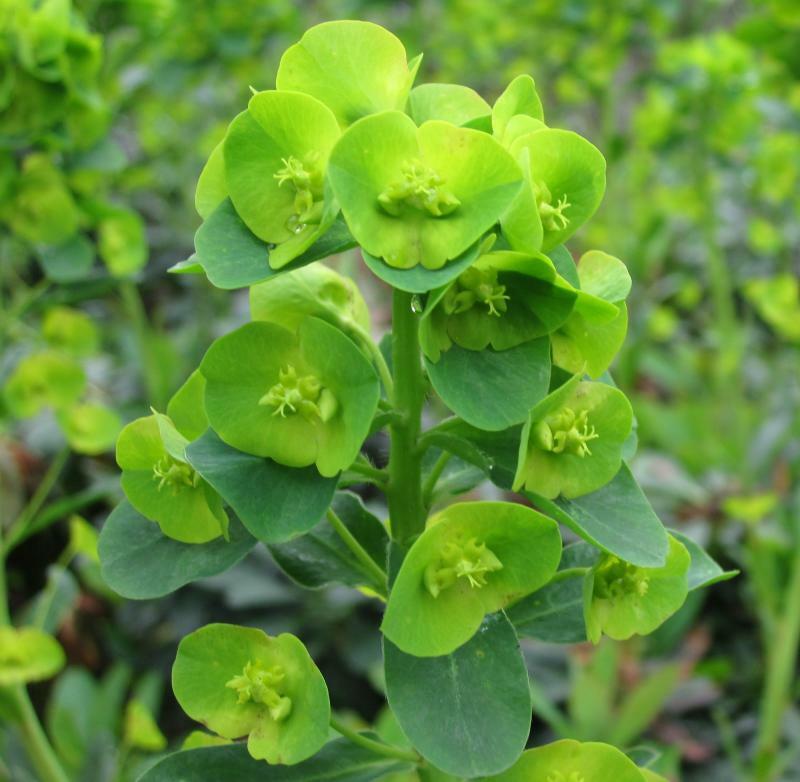 Euphorbia robbiae is a valued plant for evergreen ground cover in shady areas. Neat rosettes of dark green foliage with large rounded spikes of green flowers appearing in May. 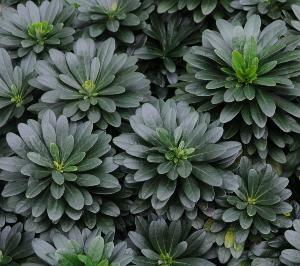 Easy to grow in most conditions even dry shade. Height 0.5m, spread 1.5m. Supplied in a 9cm pot.